This grilled lobster is perfect for any occasion. Even if you don't have a lot of experience in grilling shellfish, this will be an easy recipe for you if you start with either fresh or frozen lobster tails. This recipe assumes you aren't starting with a live lobster. If you are, you will have the extra step of killing it by parboiling before you use the tail for grilling. 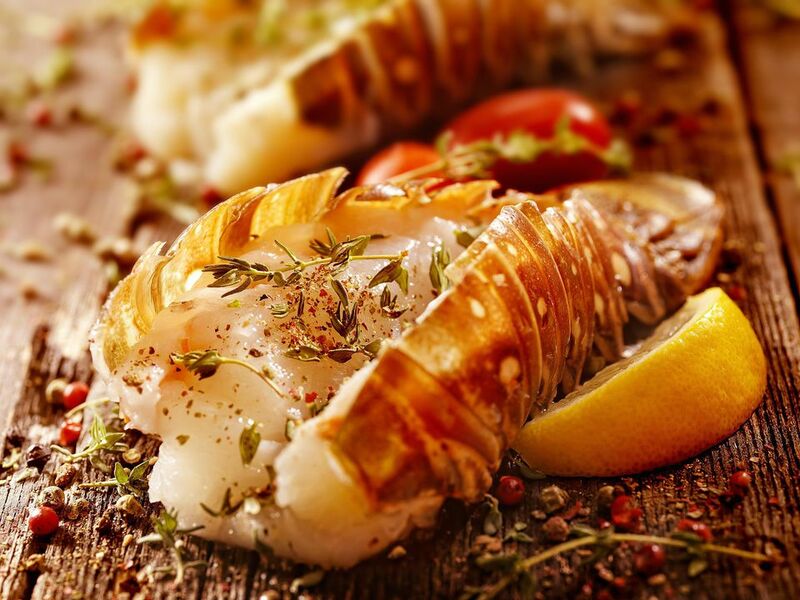 To use frozen lobster tails, defrost them in the refrigerator before splitting and grilling them. Butter or olive oil? You have a choice to make, as you can use either. In fact, you may want to make two batches of the sauce in any case. One will be used to season the lobster while grilling, while a second batch can serve as a dipping sauce for your grilled lobster. Note: while there are multiple steps to this recipe, this grilled lobster dish is broken down into workable categories to help you better plan for preparation and grilling. To split the lobster tails in half, place them on a cutting board, backside down. Use a large, sharp knife to cut down through the center to the shell the whole length. Fold the shell back (like you are opening a book), breaking through the shell. If the shell doesn't break, you can use kitchen shears to cut through it. The flesh should now be exposed. Pat the lobster tails dry with paper towels. Combine the olive oil (or butter), lemon juice, dill, and salt in small mixing bowl until the salt has dissolved. Brush the mixture onto the flesh side of lobster tails. Place the lobster tails onto the grill and cook for 5 to 7 minutes, turning them once during the cooking process. Depending on the size of the lobster tail, it may need to cook longer. Lobster tails will be done once meat reaches an internal temperature 140 F. The shells should turn a bright pink and the flesh should be opaque all the way through the center. Remove the lobster tails from the heat. Lobster tails are traditionally served with drawn butter. Or, you can make a second batch of the butter, lemon juice, dill, and salt baste which will do nicely as a dipping sauce. There are a couple of ways to grill the lobster tails. You could lightly brush them with the sauce and grill meat side down for about 5 minutes, then flip them, add the sauce generously, and grill until done. Or, you could grill them with the meat side up with the sauce through the whole cooking time, until done. If you find the lobster tails curl when grilling, you could insert a metal skewer the length of the tail before grilling. This will keep it straight and give you an easy way to put it on the grill and take it off.